Jaco Tours On Line office is located in the Heart of Jaco Beach on Costa Rica´s famed Pacific Coast. You can stay at Jaco Monte CarloLuxury Condos / Apartments Costa Rica vacations base and enjoy the whole country with our exclusive tour packages. Our customers and guest / residents enjoy all the convenience of tropical luxury living in downtown Jaco. Just two blocks from the beach, MonteCarlo is close to shopping, restaurants, tours and night life. 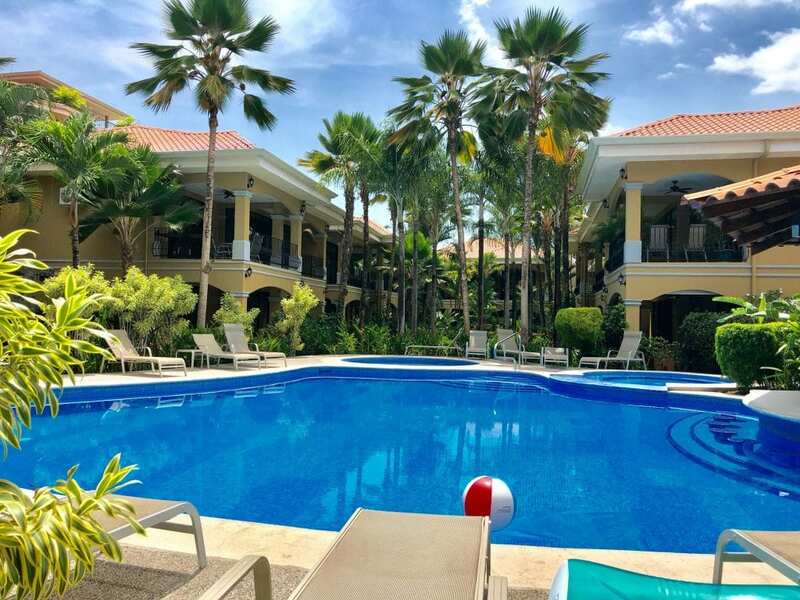 Lush gardens and elegant finishings make this paradise the perfect place for an unforgettable vacation, your retirement home, a second home or real estate investment. ‘Monte Carlo offers 16 Luxury Condos for rent, some of them are second floor or ground floors units. Each Unit has 2 bedrooms. In the Master bedroom there is a King bed and in the guest room there is a queen bed or 2 twin beds if you need it. There are 2 bathrooms, one with a shower and another one with a bathtub. The Condos are fully equipped with everything you need. There is also an AC in each individual room, hot water, safe, cable Tv and maid service. You can arrange all of your vacation with us. We can handle your tours, spa treatments, transportation and any activities right from our office. Monte Carlo is conveniently located about 1 hour from the Juan Santa Maria International Airport and San Jose.